This unique transitional style tv stand combines clean vertical and horizontal lines with more intricate floral patterns on each side and faux marble shelves and tabletop to create a timeless look. A pair of open shelves allow easy cord access for media devices or a great place to show off accent pieces. The faux marble tabletop is large enough to handle nearly any modern TV while the unique design allows the piece to double as a sofa table giving the piece a rare versatility. 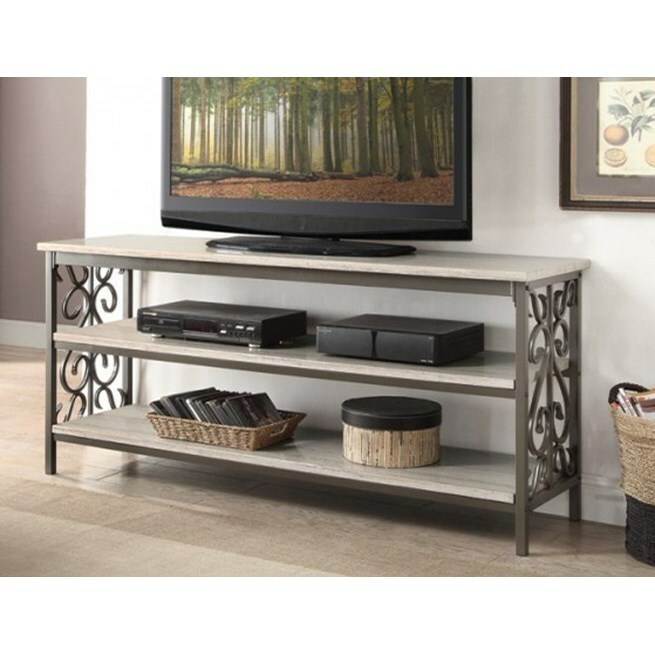 The Fairhope Transitional TV Stand with Faux Marble by Homelegance from Boulevard Home Furnishings. We proudly serve the St. George, Cedar City, Hurricane, Utah, Mesquite, Nevada area. Product availability may vary. Contact us for the most current availability on this product.